Members of the Bikisha Media Collective (BMC) played a key role in the Workers Library and Museum (WLM), a non-sectarian labour service organisation then based in Newtown Johannesburg, from the late 1990s into the early 2000s. The WLM was run by an elected committee, with various subcommittees, and BMC members were active in these structures. 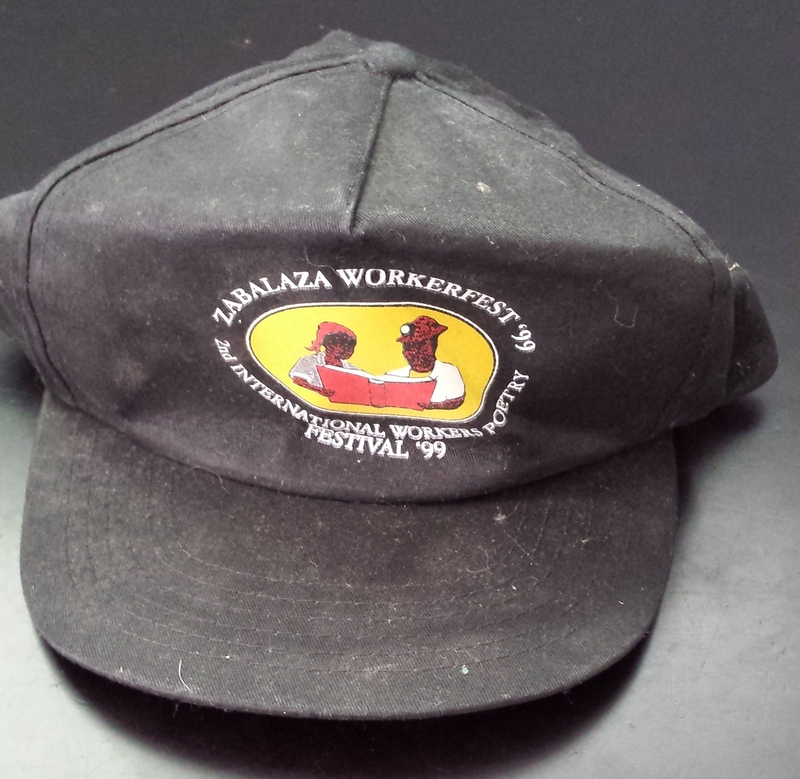 Below is a cap produced by the WLM for a major cultural event in 1999, the “Zabalaza WorkerFest” (BMC members were not active in this event, but the cap indicates some of the scope and ambition of the WLM). Note: The term “Zabalaza” means struggle and the “Zabalaza Workerfest” had no links to the later anarchist formation, the Zabalaza Anarchist Communist Federation (later “Front”, ZACF). More on BMC at the WLM here. This entry was posted in 1990s, 2000s, Bikisha Media Collective (BMC), South Africa, T-shirts and banners, Workers Library and Museum. Zabalaza Books Publishing project linked to the Zabalaza Anarchist Communist Front. Zabalaza.Net The Home of Southern African Anarchism online. South African Labour History The South African Labour History Project aims to collect and document material relating to the history of the South African Labour Movement. South African History Online SAHO is a non-partisan people’s history project. It was established in June 2000 and aims to address the biased way in which the history and cultural heritage of South Africans is represented. South African History Archive SAHA is an independent human rights archive dedicated to documenting, supporting & promoting greater awareness of past and contemporary struggles for justice in South Africa. SAHO's South African labour history The Labour history section of the SAHO site.